You are here: Home / God / God Still Lives! From every pulpit in the land it needs to be thundered forth that God still lives, that God still observes all things, and still reigns. 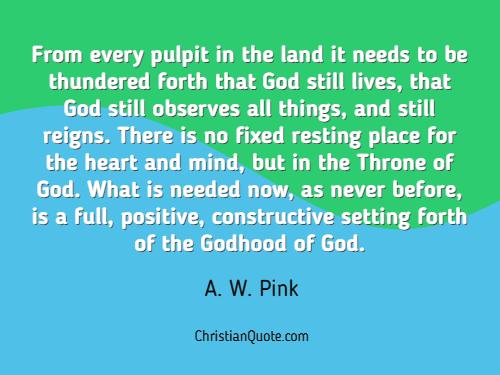 There is no fixed resting place for the heart and mind, but in the Throne of God. What is needed now, as never before, is a full, positive, constructive setting forth of the Godhood of God.